What is "l'exception culturelle française"? The French and cinema... "L'exception culturelle" : what does it mean for movies? Cinema is alive and well in France ! Production, number of viewers, proportion of French films, exports, young talented directors, etc... : all indicators have maintained rather satisfactory levels. Although nobody contests the importance and the quality of the American film industry, French films continue to hold their own (since the invention of cinema in 1895 !). Caricaturally speaking, and with no value judgement whatsoever : contrary to the USA where a movie is seen as an entertainment and its success is measured in $, in France a movie is considered a message sent by a director for our reflection ; its success is measured by the number of viewers. As French director Bertrand Tavernier said to Stanford students (Le Figaro, Nov.21, 2005) "...films are massive construction weapons...". More about the major differences between US and French cinema. The number of Art Houses in France is much higher than anywhere else in the world and not only Cannes, but several other very interesting festivals illustrate the interest of the French for cinema (Deauville and its Festival of American Cinema, Nantes and its Festival of African, Asian and Latin-American Cinema, etc...). In Paris, the Cinémathèque de France (51 rue de Bercy 12ème, in a beautiful building by Franck Gehry) is the place to go for a cinema-lover (until 1996, this fascinating building was The American Cultural Center, which no longer exists : read more). The French equivalent of the Oscar Awards is called "les Cesars" and the ceremony takes place in February as well. With 5,366 movie theaters, France has the highest number of screens/million inhabitants : 89 (vs. 60 in Germany, 56 in UK and 24 in Japan). The main weaknesses of the French film industry are, according to a comprehensive report : too many films (some of them too mediocre), too much money for the actors (even when they are popular only in France), too little money for the scenario (a national weakness, one third of the US % of the cost of the film i.e.3.4% vs 12%), too much power to TV channels (main money providers) (Source : Rapport Bonnell 2013). Basically, refering to "exception culturelle" means that everything "cultural" must be protected from the "hegemony" of the markets, the State being the regulator and, when necessary, the sponsor of a cultural policy. Culture and markets do not mix well :"cultural products" are not "products" and cannot be subject to the regulation which applies to "products" (free enterprise, no State subsidy, no quotas etc...) and the criteria which apply to "products" (the more you sell, the better it is, etc...). The whole French film industry is grounded on this concept : read more about "exception culturelle". 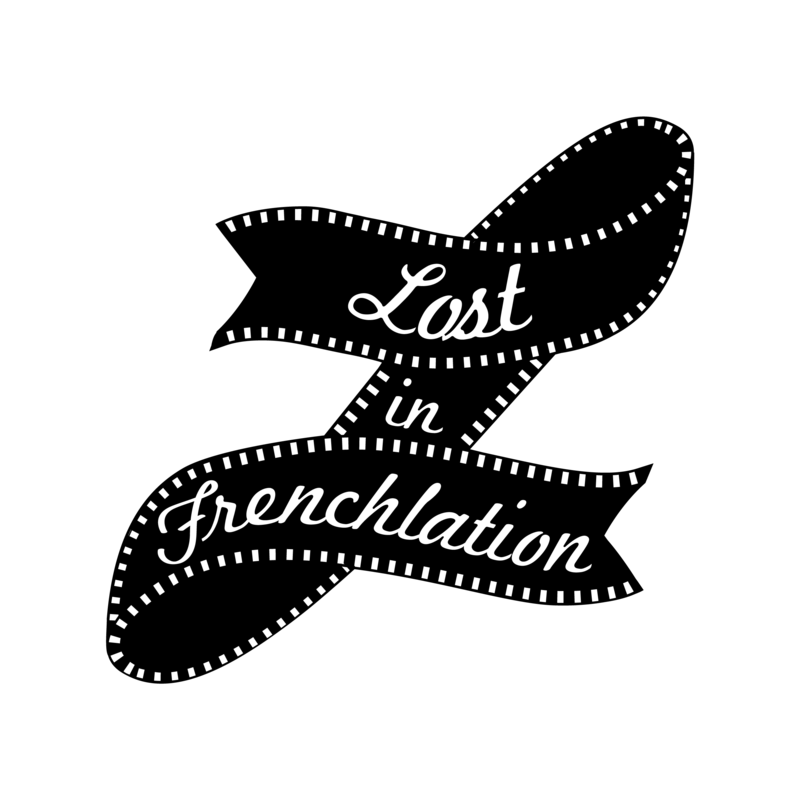 Lost in Frenchlation aims to bring the best of French cinema to the international community in Paris by showing classic & contemporary French films with English subtitles. The first public projection of a film in the world took place in Paris in the Grand Café, boulevard des Capucines on December 28, 1895, by inventors Lumière brothers (who gave it the name "cinématographe" which became "cinema"). The film was "l'entrée du train en gare de la Ciotat". Georges Méliès (1861-1938) may be considered the first director and the man who invented scenarios and special effects. He died pratically in the poor house. The New Wave ("Nouvelle Vague") was a movement of rejection by young film-makers against the old academic way of making films and acting. The two emblematic movies are "Breathless" (A bout de souffle) by Jean-Luc Godard and "The 400 Blows" (Les 400 coups) by François Truffault, both in 1959. They shot their movies outdoors and hired unknown actors. Other movie-makers of the Nouvelle Vague include Alain Resnais, Jacques Rivette, Claude Chabrol, Jacques Demy and Agnes Varda. They must broadcast a minimum of 50% of French films. Canal+, a very popular pay-channel, must devote 20% of its turnover to buy the rights of films (12% European minimum, including 9% French minimum). On each cinema ticket, a 11%-tax is allocated to the " Fonds de Soutien ", which is open to foreign films provided they are co-produced with a French producer. 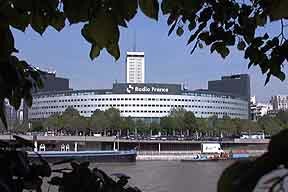 Do you know why French TV channels never show a movie on Saturday evenings ? Click here. State-owned TVs compete with commercial TVs ! In France, state-owned TV channels (France-2, France-3, TV 5,...) are clearly better and more respectful of the viewer than commercial TV channels, only interested in market share and advertising. Public channels have less or no reality shows, broadcast cultural programs at decent hours and are the only ones with a "médiateur" (ombudsman) and a weekly program to analyze their errors frankly and openly. France and Germany share an excellent cultural TV channel (Arte). Do you think that Moroccan movies can resist Hollywood movies ? Is it good for the Moroccan people to be cut from their roots and projected into a foreign culture, with no alternative ? Is it wise for the USA to be considered the cause of the disappearance of a local culture in the name of free trade ? Americans often say "All French films are alike...." : Agnes Jaoui is a very talented film-maker and actress. With her companion Jean-Pierre Bacri, she has made several excellent "very French" movies ("Let It Rain", "Look at Me",...) which were well-received in the USA. In 2008, she made a very good movie ("Parlez moi de la pluie") on more sensitive issues (a woman in political life, a young man of Arab origin victim of racism, ...). Her US distributor declined to take it : "They said it's not adapted to the US market -- whatever that means", she says (IHT, Oct.10, 2008). So if you ever read the classical comment "The French always make the same kind of films", replace it by : "US distributors always BUY the same kind of films". See my (tongue in cheek) insularity score ! The most successful French movie in the US is "The Artist", winner of 5 Academy Awards Oscars in 2012 (film, actor for Jean Dujardin, scenario, music and costumes)." Intouchables", the French blockbuster (2011), is the largest success, ever, for a non-American film with 32 million viewers outside France (+20 m. in France) and 220 million Euros total income. In the US, Luc Besson is one of the most successful French film-makers. According to a recent survey, the movies the French consider the best of all times are : Citizen Kane (O.Welles), The Night of the Hunter (Ch.Laughton), La Règle du Jeu (J.Renoir), Sunrise (F.Murnau) and L'Atalante (J.Vigo). Read more about this survey and a list of the "best" French movies. Dec. 17, 2001 : (former) French tycoon, Jean-Marie Messier, then CEO of Vivendi Universal Entertainment declared from New York "the exception culturelle is a Franco-French archaism... " to the horror of the entire French cultural establishment and political class (the President of France qualified this analysis as "a mental aberration"). July 2003 : in the final negotiation about the project of European Constitution, the French government negotiated until the very last minute (and finally won) on "exception culturelle" when other countries negotiated on other issues (economy, immigration, foreign policy, etc...). Another example in history : when the "Entente Cordiale" was established between UK and France in 1904, the key issue was that France would give up any claim on Egypt. France accepted with only one exception : the head of Archeology in the Egyptian administration should be French. FD. : You already make 95% of the movies. What more do you want ? JV. : 100%, of course. Today, it is more politically correct to speak of "diversité culturelle" (cultural diversity) but the meaning is the same (read about anti-Americanism). DID YOU KNOW THAT ...? French composers and American movies seem to be a good mix, since the 1930s, with Gabriel Yared, Georges Delerue, Michel Legrand, Maurice Jarre and, more recently, Alexandre Desplat (Oscar 2015). American remakes are not French at all... (to figure out some cultural differences...) Many French films are sold to American producers and turned into American films, with a big or huge difference from the French film. By the same token, in 2005, " La marche de l'empereur " (" March of the Penguin "), a film by Luc Jacquet on the life of the giant Antarctic penguin was a huge success in the USA and was # 2 at the box-office. Actually, the sound was changed for the American audience : instead of a very " written " text full of allusions and images which made the French film a parable on the human condition, the commentary was a rather factual commentary, very " National Geographic "-type. It was good but it made a different movie : the American audience probably learned a lot about penguins but certainly nothing about the French. The French movie "Le diner de cons" (Francis Veber, 1998) is a very funny comedy, with a light and brilliant dialogue ; it takes place in a Paris apartment. It was a huge success in France. It was remade by Jay Roach in 2010 ("Dinner for Schmuck"s, with Steve Carrell) into a heavy comedy with action taking place in different places, which changes the whole spirit of the film. DID YOU KNOW THAT.... ? 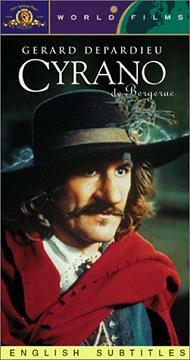 The best-paid French actors in 2003 were Gérard Depardieu*, Jean Reno*, Daniel Auteuil*, José Garcia*, Thierry Lhermite, Gad Elmaleh, Vincent Perez, Philippe Noiret, Nathalie Baye and Benoit Poelvoorde (according to Figaro Entreprises May 17, 2004, a "*" indicating that they were already in the Top-10 in 2002). Hit-parade of 2002 includes Jamel Debbouze (a "beur"), Christian Clavier, Gérard Lanvin, Samuel Le Bihan, Catherine Deneuve and Juliette Binoche. or major stores or sites for online orders such as fnac, amazon or virgin. If you think of studying cinema/TV in a French graduate school, contact the FEMIS. Admission is very competitive.